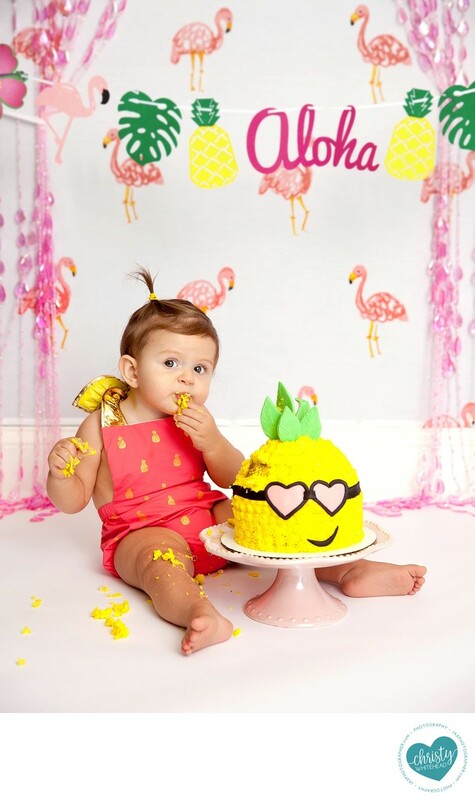 Flamingos and pineapples in a cake smash--Yes! I had this little flamingo outfit that worked perfectly with her theme. Gotta love her little hair pulled up on her head.